With doom and gloom continually splattered across headlines covering environmental matters, there are often many stories that never tend to see a larger mainstream distribution. Whilst that isn’t to say that current climate change issues and other policy matters aren’t important – they certainly are – it serves no purpose to continually discuss the negatives and not some of the positives within the sector. Increases in sightings of sea turtles has begun putting credence behind the conclusion drawn in a recent study published in Science Advances — sea turtle numbers are on the rise. The paper was written with the intent of consolidating our current knowledge of sea turtle population dynamics, which the International Union for Conservation of Nature (IUCN) has been tracking for decades. 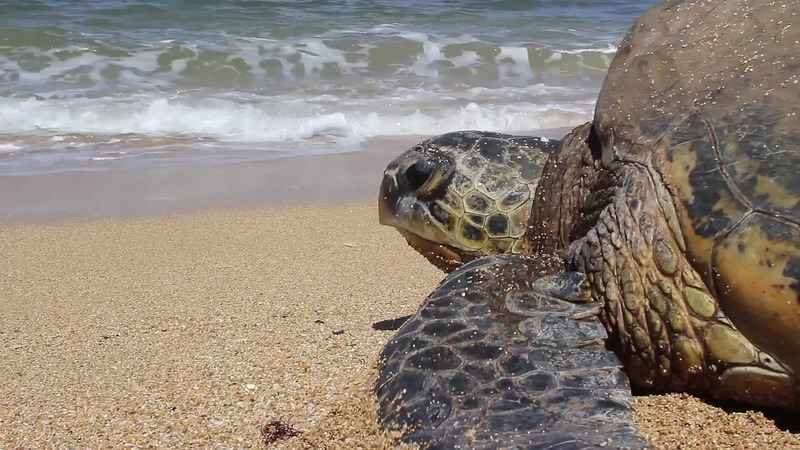 As Antonios Mazaris and his fellow researchers have uncovered, there has been a positive increase in overall sea turtle numbers across the world. 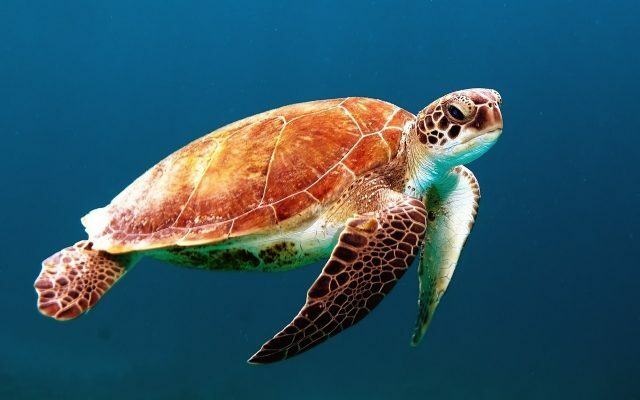 Whilst there are some areas which have shown a decline, the global trend is looking up, with seven major species including the Hawksbill turtle (Eretmochelys imbricata) boasting larger population sizes than when the IUCN began keeping records in 1996. The reason for this notable uptick in numbers? Conservation efforts. Mazaris and his co-authors have lauded international conservation programs as a major reason for the population bounce-back of sea turtles, who, only a century ago were almost hunted to extinction. Indeed, across the world, a concerted effort has been made to protect turtle nesting sites and ensuring that enough legislation and monitoring has been put into place to help turtle populations bounce back. For example, the Fiji Islands’ ban on the Hawksbill shell trade in 1991 as well as the government impose Turtle Moratorium in 2009 has led to an increase in turtle population across the island nation’s coasts. Likewise in Australia, recent studies indicate the same trend after stricter legislation was passed in order to protect turtles from boat strike or other environmental factors. A recent identification study in Malaysia has also shown an increase in population size of several species, including the Hawksbill. 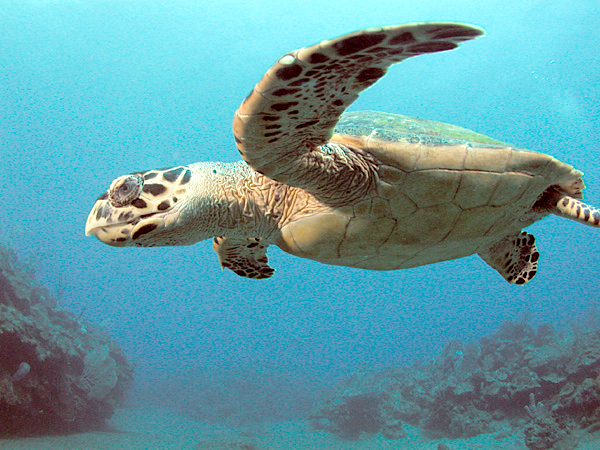 hawksbill turtle, source; wikimedia.org; author; Aquaimages. The paper slyly suggests that if a global conservation efforts are put towards current issues affecting the decline of mammals, birds, amphibians and fish as they were for turtles, that there could be a turn-around in those trends as well. If past examples of international conservation are anything to swear by, Mazaris and his colleagues could certainly be right. Although this study has only shown the effects of worldwide conservation efforts on a single species, its’ findings can easily be used to justify similar tactics for larger issues.